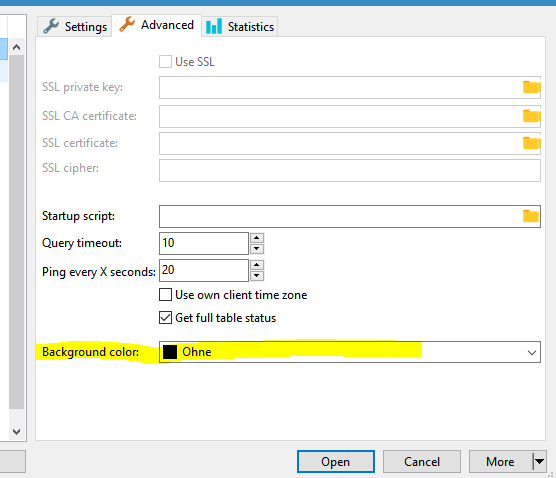 When working with multiple databases across different servers and environments it's easy to make mistakes, so i would like to have an option to show warnings when working with a production server and also highlighting in some way that I am currently connected to a production server. Some similar feature is present in almost all of the standalone tools which manage mysql databases. 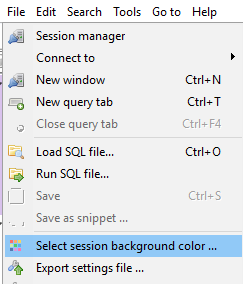 An option in the session manager to mark it as production server. I use green for sandbox and development servers and red for production. Also I recommend creating a second user for yourself on the production server which cannot drop or delete. That you can mark with yellow. @penCsharpener Thanks for the tip, i was looking for something like this. I would include this option inside the Session Manager > Settings also. Yes, this is definitely reasonable.